Click here to see the Facebook page. His name is Raul also known as Kingtana the Puerto Rico Bagpiper! He belongs to a select class of musicians that play the Great Highland Bagpipes. He has been playing the bagpipes since 2007. As a solo piper, he provides a unique combination of musical variety and visual impact at a fair price. He is available for your musical delight at any location in Puerto Rico. He offers an experience that is fully professional and ensures all relevant details are planned in advance of the event. All tunes are played on a resonant, finely tuned McCallum Bagpipe. 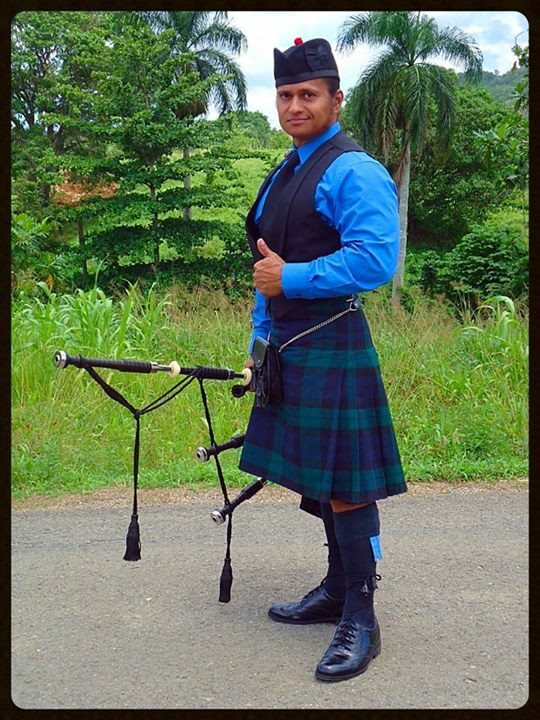 Short notices can be accommodated, please feel free to contact Kingtana the Puerto Rico Bagpiper and plan your musical event together! Send an email to Kingtana the Puerto Rico Bagpiper now!